In Croatia, there were already 2 WordCamps (Rijeka & Split) but unfortunately I wasn’t able to be there. My first WordCamp experience happened last week (of writing this) and I share my thoughts on it in this article. Contributors Day – a day where you can learn how to contribute to WordPress (and community). After that, there was a nice trip around Zagreb where you could learn more about its history. You might think WordCamps are about WordPress, goodies and learning something from talks. But actually, as I have experienced it thanks to all the volunteers and organisers, it’s all about meeting people and sharing. I’ve finally met people with whom I’ve been connected and communicating through social media. There was no odd feeling speaking with them for the first time. It was just as with any other friends and people you speak to in everyday life. Since most of my friends aren’t developers, designers or something similar, going to a WordCamp was a nice refreshment. I could ask about anything WordPress or business related and share my thoughts on it also. Something I really liked being there is how I’ve seen other people talking to each other as they were friends the whole life. Sharing their ideas, joking and talking (not only WordPress related stuff, but also life related). Coming to WordCamps, you really realise how great it is to be involved in a community such as the WordPress community. So, finally, I have met Goran Jakovljević from wpgens.com. He is the developer behind the popular Swifty Bar (look at the bottom of the screen, that’s the one). 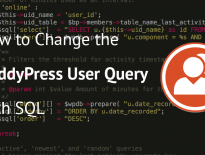 We have had various conversations on Facebook and like to share thoughts and ideas on how to do something in WordPress. It was a great pleasure to meet him. Another pair I was really happy to meet are Ana & Marko from anarieldesign.com. We were communicating through Twitter for so long but never had a chance to meet in person. This WordCamp made that also available. I have also met some other folks I did know from before and that was also great since it wasn’t planned at all:) Had a really fun time & laughs with Karlo & Damir from xstreamthemes.com. If you need various WordPress services, be sure to check them on Envato Studio. Thanks to sponsors and organisers, we had Wi-Fi in every step so you could even answer emails or just use social media to notify others on WordCamp Zagreb. If you’re attending WordCamps, be sure to use coffee breaks and the lunch break to meet with people from WordPress community. Even if you’re not a person who likes to meet strangers and maybe jump into a conversation, just do that. 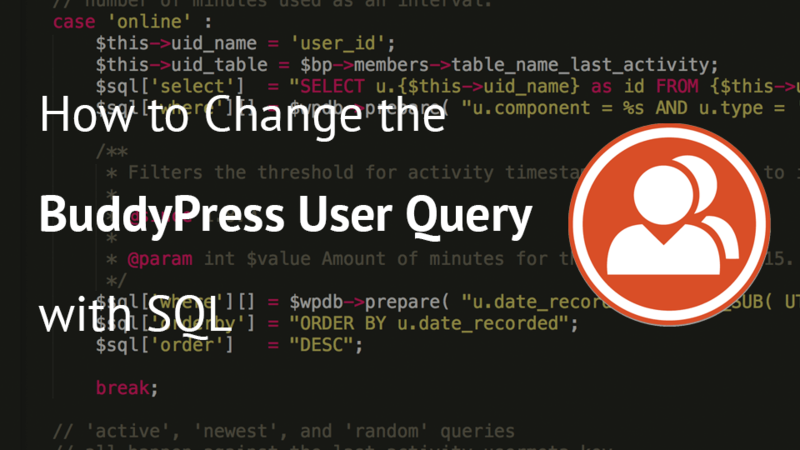 People will be happy to talk to you and learn about what you’re doing with WordPress. Even if you have questions that you might think are stupid, just ask them. There were people a lot smarter than I am and I was happy to talk with them about anything. With both tracks, you really had to choose what you want to hear. Why? Because all the speakers had something special to tell about. Remember that those people are similar to you and each of them had and has a unique experience working with WordPress or in a similar IT environment. All the talks can be seen on YouTube & I’ll share the links at the bottom of the article. Nela Dunato was the first to hold her talk. The title was “The Human-Centered Brand” and she explained a lot about creating a brand for yourself by offering a great experience to your clients. In essence, the brand is not only your logo or colors you use. The brand is actually the experience you provide to your clients or customers. You can learn a lot about branding, design and other on her own website neladunato.com. If you like twitter, check her at @nelchee. Ante Šepić is a WordPress developer and core contributor. He was talking about his plugin development setup which of course can be used on theme development. He is proposing that we should all be sticking to same standards and he thinks PSR-2 should be used. 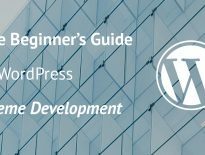 But if you’re contributing to WordPress core or repository, you should use WordPress Standards. He also showed a nice & simple way of organising the code in files and folders. Really liked that. You can follow him on github. If you’re interested in his talk, you can watch it here: https://youtu.be/tRZRqTSRvWU?t=1h50m50s. Ratko Šolaja talked about various parts of plugin development. He even showed a simple example of a Toptal Save plugin that could save a post for later. He explained how that could be done using a cookie and also using user meta if a user is logged in. 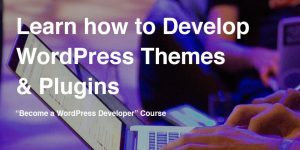 It’s an interesting talk if you’re into WordPress development and you have just started. Be sure to check that talk at: https://youtu.be/tRZRqTSRvWU?t=2h13m29s. Goran Jakovljević talked about selling premium WordPress plugins and which business model you can choose from when beginning building your premium WordPress plugin. He shared his setup and how much it has cost him. 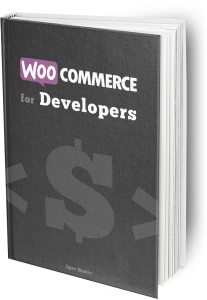 His premium WordPress plugin Refer a Friend for WooCommerce enabled him to have a worry-free life, financially, since the sales cover all his expenses each month. If you want that also, be sure to hear what he has to say at: https://youtu.be/tRZRqTSRvWU?t=2h42m5s. Tome Pajkovski showed us how to create a lasting relationship with your clients/customers. With several tips on how to manage that and how to get them to value your input, he really did a great job. The takeaway from this talk is that you should consider using videos to make the meeting even more personal (if you’re a remote developer). Hear his talk at: https://youtu.be/9ECchL4C7Zo?t=3h35m11s. Austin Knight came from Brazil to give this talk. And that talk was really excellent. The title couldn’t be more intriguing than it is. Since I was already in the Track A, I decided to stay and listen to it. He really explains it well how a functional solution can work and how design can enhance the user experience of it. But a solution that is not functional and looks only nice, it won’t succeed. Be sure to check this talk at: https://youtu.be/9ECchL4C7Zo?t=3h52m47s. Ivelina Dimova introduced us to debugging and what we need to start working with it. She showed us which browser extension we must use and how to integrate that with our editors such as Atom.io. Using breakpoints, you can really find out what is going on with your application. Really easy to check on the data held in variables and see if we pass everything correctly. Check her talk at: https://youtu.be/tRZRqTSRvWU?t=5h55m12s. Marko Banušić showed us how to use Vue.js in WordPress. With some simple replacements and the use of Vue.js components you can really make the theme files really simple. The good side of using components is that you can place them on more than one place on your site and they’ll work out of the box. He even challenged us to take a step forward and try to replace some of WooCommerce parts that use jQuery with Vue.js. It was a nice & fun session, so be sure to watch it here: https://youtu.be/tRZRqTSRvWU?t=6h31m42s. Antonio Perić-Mažar had nothing to do with WordPress. He doesn’t even use it. He is developing solutions on top of Symfony & Sylius. But the topic was interesting and there were some good points. He even said that we shouldn’t compare each other as communities (Drupal, WordPress, Symfony, Joomla). Since we all are using PHP, we should connect together and share our experience. I like that. His talk can be found here: https://youtu.be/9ECchL4C7Zo?t=8h21m10s. Dario Jazbec Hrvatin shared his story on how he gets inspiration. Since he is really involved in music also, he likes to take inspiration from various things in his life. This talk was really inspirational and I would suggest everyone to hear him out. At the end, all is love:) Watch it here: https://youtu.be/9ECchL4C7Zo?t=9h3m26s. Be sure to check all other talks on the schedule page and check out YouTube track A and track B. 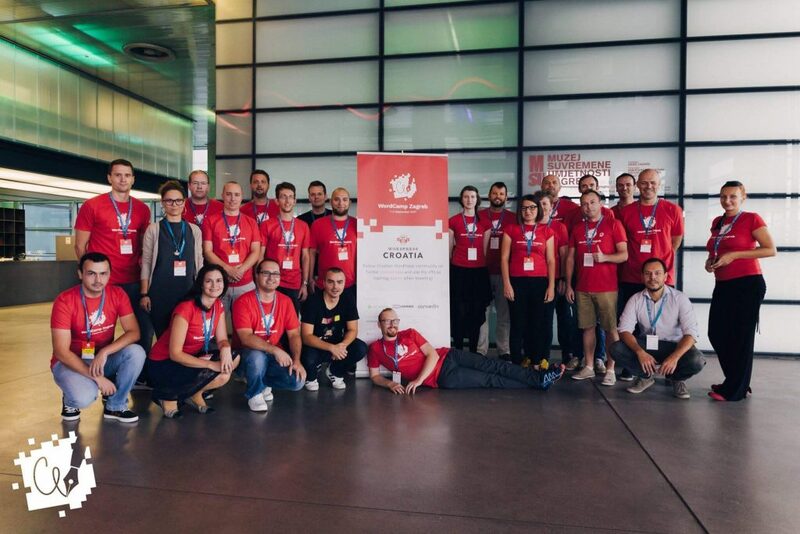 Volunteers form WordCamp Zagreb 2017. Thank you! WordCamps are a great thing if you’re a part of the WordPress community. Even if you’re just a blogger using WordPress, you should check out such events and go to them. 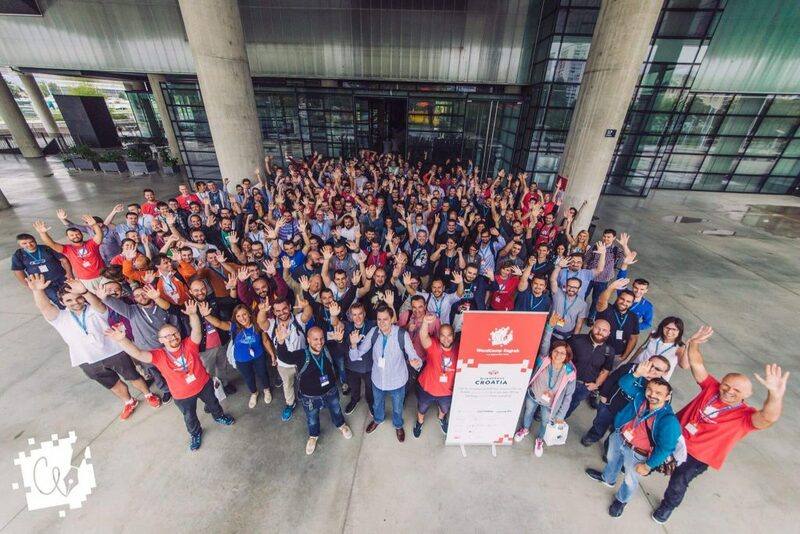 I am really glad I went to WordCamp Zagreb and have met so much people. Once again, I am really thankful to all the volunteers, organisers and sponsors that have made all that possible. Thank you for sharing this. I really enjoyed learning more about what happens in a WordCamp. I am in France for the time and I see there is one here in the Spring. Too bad we weren’t able to chat, I had to leave really early.